We have these puzzle mats at home, just laying around waiting for us to start or workout. Then it hit me, instead of working out, I might just as well do a Nail Art inspired by these mats. Then maybe, just maybe I’m going to be inspired to start working out again. Here it goes; a colorful and playful puzzle mats. STEP 1. Prepare all four of your favorite pastel colored lacquers, base and to coat and your dotting tool. STEP 2. Get your first lacquer (green) and paint the vertical half of your nail bed. Then, get your second lacquer (pink) and paint the other vertical half. 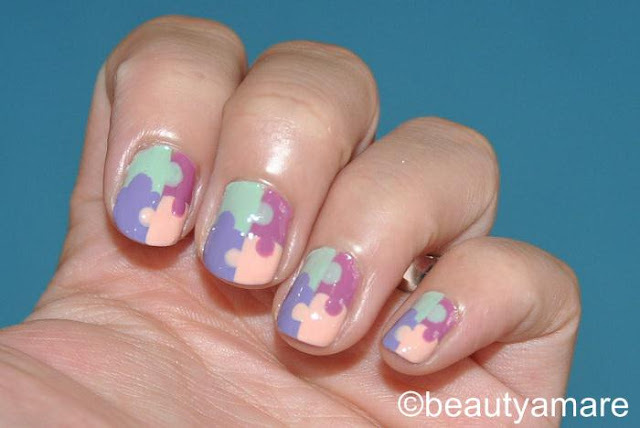 Make it straight as possible to keep your puzzle neat. Then let it dry for a few minutes. STEP 3. 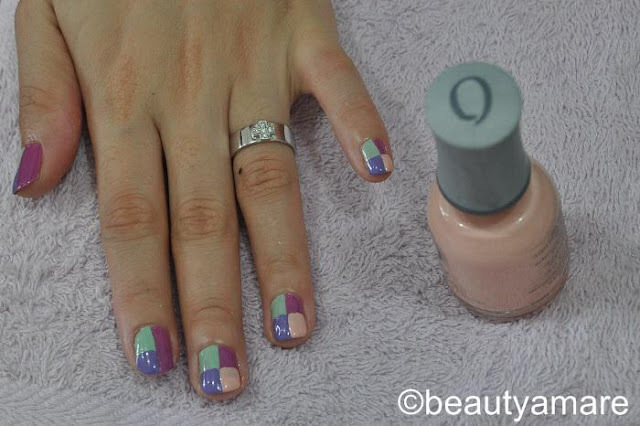 Get your third lacquer (violet) and paint a quarter of your nail bed. Do the same with your fourth lacquer (coral). Let it dry before proceeding to the next step. STEP 4. Get your dotting tool, in my case the tip of the handle of my make-up brush. 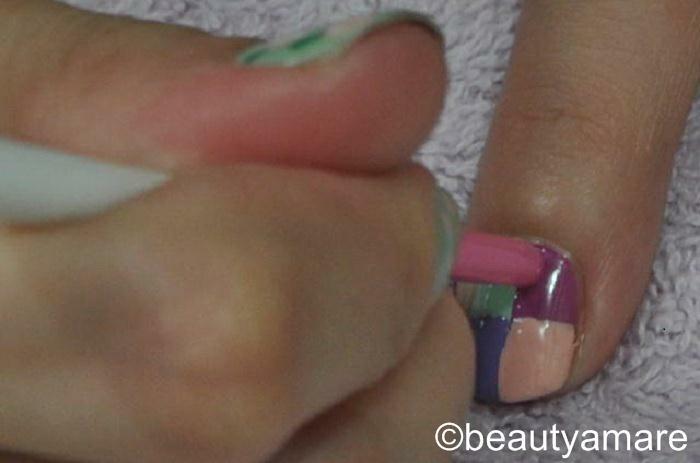 Dip your dotting tool in the first lacquer that you used and dot it in the neighboring quarter. This will give the illusion of the puzzle. STEP 5. Once done, you can now apply your topcoat to seal in your design. 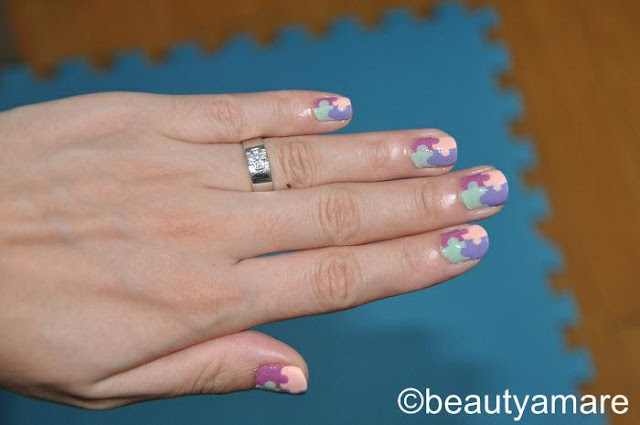 Don’t forget to join beautyamare.com for more Fashion and Nail Art ideas.